The villa in Tanneron has 4 rooms and has capacity for 8 people. The apartment is nicely furnished, is modern, and has 202 m². It has views to the garden and to the swimming pool. It is located 9 km from Mandelieu city, 11 km from Mandelieu sand beach, 11 km from Barbossi golf course, 11 km from Old Course golf course, 11 km from the rock beach, 11 km from the "Géant Casino" supermarket, 14 km from the city "Théoule Sur Mer", 40 km from the airport "Nice Cote d'Azur" and it is located in an ideal area for families . 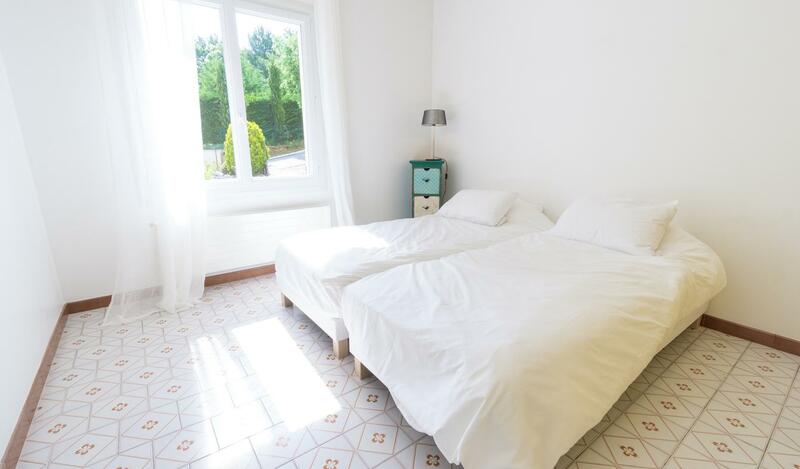 It has garden, garden furniture, 65 m² terrace, barbecue, iron, internet access (wifi), balcony, electric heating, air conditioning, private pool, garage and parking same building, TV. In the induction open plan kitchen, refrigerator, microwave, oven, freezer, washing machine, dryer, dishwasher, dishes / cutlery, kitchen utensils, coffee machine, toaster and kettle are provided.